Ken Comée is CEO of CareCloud, the cloud-based software, and services platform focusing exclusively on supporting high-growth medical groups. Ken joined CareCloud as CEO in 2015 after serving on the company’s Board of Directors while an Executive-in-Residence at Norwest Venture Partners. Ken brings to CareCloud a track record of building high performing organizations and helping early-stage companies reach their full potential and value. Ken is a seasoned technology industry executive who has had a successful track record leading growth companies to achieve high-value strategic exists. Prior to joining CareCloud, Ken led several technology companies spanning the software, big data, and analytics spectrum. Among these companies was Cast Iron Systems, a platform for integrating cloud-based applications from SaaS providers with on-premise applications. Ken managed Cast Iron’s turnaround, successfully positioning the company for its sale to IBM, which bought the company to serve as a foundational element of its cloud strategy. As CEO of PowerReviews, which provided technology and tools for retailers and e-commerce companies to host product reviews on their websites, Ken orchestrated the company’s acquisition to its largest competitor, Bazaarvoice. 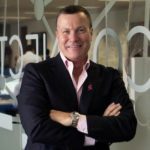 In addition to his roles as CEO, Ken has served as an executive advisor and on the board of directors for several new ventures, including BeyondCore, which was acquired by Salesforce.com, and Simpplr, a social intranet company focused on improving employee engagement. Ken’s role as an advisor reflects his personal mission to help shape the next generation of CEOs. In addition to mentoring up and coming entrepreneurs, Ken also is committed to supporting philanthropies and not-for-profits that are making a meaningful difference in promoting health and quality of life. He most recently participated in the “Real Men Wear Pink of Miami” campaign to support the American Cancer Society. Ken earned his MBA from the London Business School and a BSc from Santa Clara University. A recent transplant from Silicon Valley to Miami, Ken enjoys spending his free time on the water and exploring South Florida.